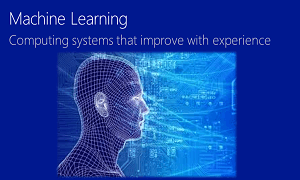 Create and operationalize a predictive model using Microsoft Azure Machine Learning. –learn how to use machine learning with big data scenarios using tools like Hadoop and SQL Server to process and work with such data. Fahad Shah is a Data Scientist in the Azure Machine Learning team at Microsoft. Fahad has lead the initiatives for fraud detection, customer churn, product demand forecasting, predictive maintenance and cloud data science process. Previously, Fahad worked on online user behavior modeling and root cause detection from logs whilst at Bing. He has also worked on exploring social integration with search and comes with years of teaching and industry experience before joining Microsoft. Fahad obtained his Ph.D in CS (topic: Social Network mining and Community analysis) from University of Central Florida.